Tired of scale building up on the surfaces of your tub or shower? It’s a common problem, but it is also easy to remedy with a few simple prevention and cleaning tips. Vinegar works great for cleaning and this trick is no exception. Heat half a cup of white vinegar in the microwave for 90 seconds and then place into a spray bottle. Add half of a cup of dish soap to the bottle and shake gently. Spray the concoction onto the surface of the tub and shower. Let it set for a couple hours and then rinse and scrub it with water and a nylon brush. Another similar method, and the one I prefer, is to use a dish-washing sponge with a built in soap dispenser. Fill up the reservoir with half vinegar and half dish soap. 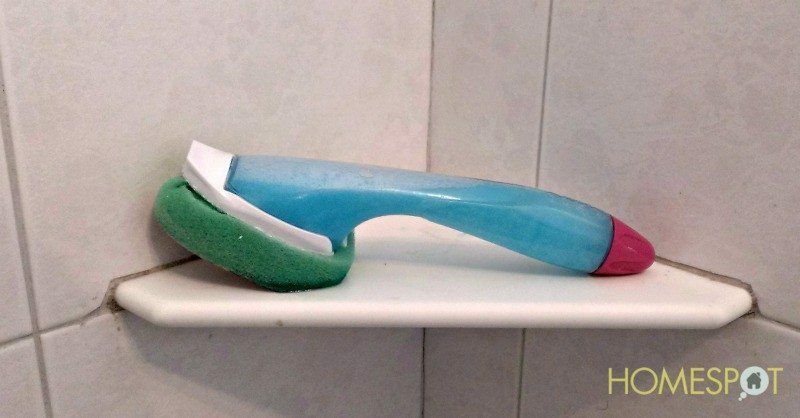 During your next shower, use the sponge to clean the surfaces.